Situation: You have thirty minutes to make a connection. 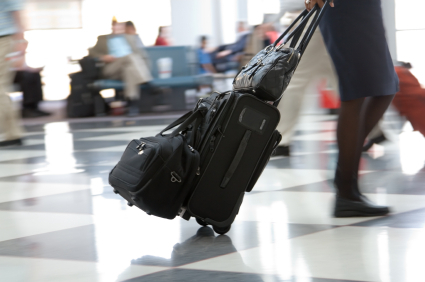 You’re on a crowded plane, you have carry-on bags, and it’s an airport you’ve never been to. What do you do? As travelers, we all need to have a little MacGyver in us, that uncanny ability to handle nearly impossible situations with clever solutions. And while that doesn’t usually mean fashioning a grappling hook out of paper clips and bendable straws, it does mean adapting on the fly to stay on schedule when the entire world seems to be conspiring to make us miss our flight. So, what do you do when you see a short connection on your itinerary? What about when your schedule gets thrown off, and you have an unexpectedly tight timeframe to catch your next flight? Share your tips and stories below. Thanks!